This is a conversation I had about a month ago with a woman that was preparing for her first Figure show, and had reached out to me with concern. For five meals a day, she was only allowed to eat cod and asparagus. She is part of a “team”, which in this case means (and sadly, such is the case with many of these prep teams) she is following a cookie-cutter diet program, and participating in one-size-fits-all group training sessions, regardless of individual needs. Plus two-a-day cardio, and strength training four days a week. There is the glaringly obvious, which is that she is totally miserable. Personally, I love asparagus, but force me to eat it for 140 meals in a row and I may hang myself. Next, she is starving, and not in that facetious “I’m so starving I may die” type of way that I claim each time I leave the gym, but she is actually, genuinely starving. Less than 650 calories a day? Are you kidding me? Hell, even less than 1,000 calories a day. Are you kidding me?? Also, her concern about what happens after the show is completely valid. Can you imagine how difficult it would be to re-enter a world of ‘normal eating’ when all you are used to consuming is fish and asparagus? Unfortunately, I predict serious binging accompanied by a ton of remorse, followed by extreme restriction. Rinse, and repeat. That is a scary, scary path to be on, especially when you are fresh off of a competition, when most people struggle with a depressing case of the “What now?”s as it is. 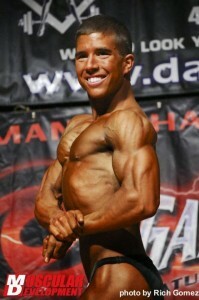 Horrible diet coaches, and more specifically to this article, contest prep coaches, absolutely pervade the industry. These reckless individuals are recommending cookie-cutter starvation diets and obscene amounts of cardio, driving their client (and the client’s health and sanity) into the ground. Subsisting off of nothing except for protein and vegetables, drinking only distilled water, cutting out all sodium for the course of the entire prep, using an arsenal of stimulants and fat burners, two-a-day workouts, fat coming only from fish oil…. the list of ridiculous tactics employed to get these women to the stage goes on and on. These women then turn to myself and my colleagues to help them sort through this metabolic nightmare once the show is over. It is heartbreaking, and it is rarely a snap to fix. Interestingly enough, every time I write about irresponsible diet coaches, I always have a few people rebuke me (and not surprisingly, it’s always the people that have to resort to hairball tactics to get their clients leaner). Their rebuttal is always “competition prep is hard, and there is no way around that”, and I agree with that to a point. Contest prep will rarely be a walk in the park. For most of us, though, contest prep is certain to be challenging and uncomfortable. You will likely be hungry, have cravings, and struggle a bit with dips in energy. You may suffer from lowered libido, irritability, and some strength loss. There will be days that you are prepared to do really desperate things for 30 more grams of carbohydrate. You may accidentally eat half of a carrot cake in the middle of the grocery store before you realize what you’re doing. I get it. This is normal for many people preparing for a show. However, as a responsible coach, it is up to us to decide just how difficult we will let a prep be, and it’s imperative that we take into consideration possible repercussions the client is going to have to deal with during the prep, and once the show is over. 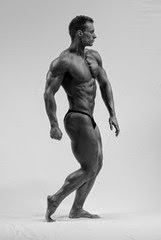 The coach that I mentioned in the beginning that has the client eating nothing but the same two foods every day, all day, is obviously not concerned about the client’s re-entry into post-competition life, and this is an aspect that must be taken into consideration. Professionalism and integrity aside, a coach is dealing with another human being, their health, and happiness. I certainly hope that your coach wants to see you succeed long after you’ve worked with them – because they should. An irresponsible coach is one that takes on a client to prep for a show, knowing that there is not enough time to get the client contest ready in a somewhat healthy manner. I shoot straight. I simply tell them that they need more prep time in order to do things in a somewhat healthy manner, and still bring their best package to the stage. If they aren’t okay with finding a later show date, I will not take them on as a client. Period. I refuse to compromise their health or my integrity for a self-imposed deadline. If a coach tells you that they can’t get you ready in a safe way for the show date that you have set, and that you require more time, it doesn’t make them a bad coach; it makes them a responsible one. I take my client’s health – both physical and mental – very, very seriously. Sure, I could recommend some idiotic diet, such as the cod and asparagus one above, coupled with obscene amounts of energy expenditure work, but I refuse to do that. No way, no how. At what cost did this change come at? What price did this person pay – and will they pay in the future – because of this transformation? In an effort to help you, or someone you know, find out how to hire the right contest prep coach, I asked the best diet coaches in the biz what you need to be aware of when hiring. I can personally attest for the knowledge, integrity, professionalism, and results that each of these coaches bring to the table. “The number one thing I tell people to be wary of when hiring a coach is when someone never is willing to say the three magic words: I DON’T KNOW. One key point that I cannot stress enough is individual specificity within nutrition. You are an individual and not a programmed machine thus your nutrition recommendations should be tailored to you, and changes should be made based off of your feedback and response, not ignored with responses like, “Oh, that is normal, this is just part of the plan.” if you personally feel off or as if things are not going well. Make informed decisions prior to hiring a coach, a coach can sell you anything he or she wants but I encourage you to speak to the athletes of that coach and get an idea as to how that coach assesses and makes changes to nutrition with his current cliental. Reach out to several as well this will give you a good amount of data to review as to whether or not that coach is utilizing an individualistic approach or one that is more so one size fits all. “In my opinion the number one most important thing to look out for is a coach who is handing out meal plans. People must understand that every single person, even of the same height and weight, is going to require a different caloric intake to accomplish their goals. “When hiring an online prep coach, take notice how much background information they collect on you before officially hiring them. If they are a good coach, they will take many factors into consideration. If they don’t get background info, and just hand you a diet and cardio plan, chances are it’s a stock diet that may or may not work for YOU. “Aside from obvious things to look out for like education/credentials, experience, client successes/testimonials, etc., I think the biggest thing that women face when seeking online diet coaches is the pressure to be part of a ‘team’. There are MANY teams of competitors, made up of mostly women, who have fabulous sounding names, logos, team clothing/uniforms, social media pages, group support, etc. Many of these teams give out things like cookie cutter diets, dangerous or gimmicky exercise prescription, push drug usage, offer no or minimal contact with the coach, provide no or minimal weekly assessments or updates, and promote antiquated nutrition information (all fish diets, no sodium, distilled water, etc.). “Be wary of a coach who tries to give you too much too soon. Is he/she restricting you to a ten-item food list? Piling on the cardio, slowly but surely? Have your workouts become a part-time job? When you are shopping for a nutrition coach, remember that you are hiring them to do a job, and you are trusting them with your health. This is a very big deal! The coach you are hiring should gather a ton of information about you prior to committing to helping you, including your goals, current and past nutrition, training, sleep cycles, stress levels, and health issues. If somebody shoots you over an invoice without gathering all of this information, that is a huge red flag. 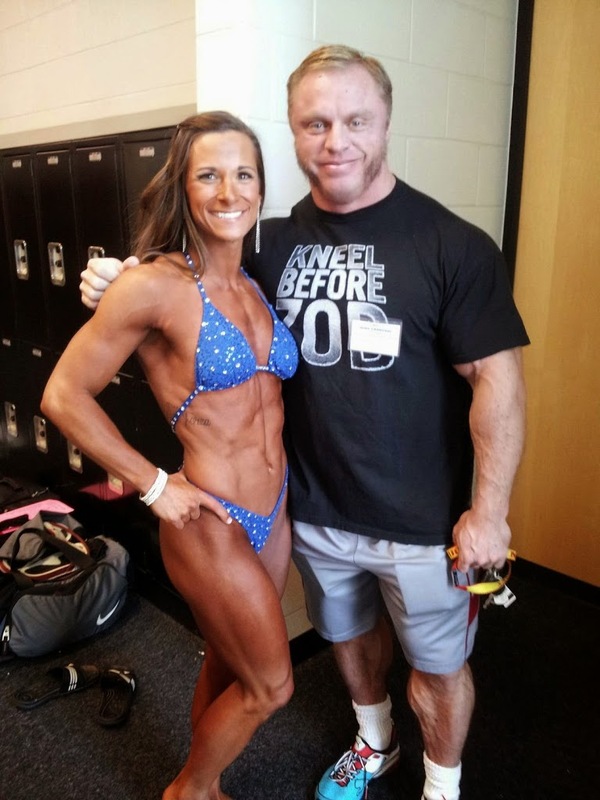 Additionally, if a coach agrees to help you prep for a show without knowing your show date, and seeing pictures of where your physique is currently, along with obtaining the information listed above – yikes! You need to find somebody else. Remember – you are hiring somebody for a job. Ask them plenty of questions. Don’t be afraid to request references from both current and past clients! If they are anything less than enthusiastic about answering your questions, and providing you with the information you’re requested, immediately move on! Did my colleagues or I miss anything that you’d add like to add? If so, drop us a line below! What a great article and incredibly important topic. I have had such bad experiences in the past, this is such a great write up. Having had a terrible experience myself, I think it would also be pertinent to quiz a potential coach about metabolic damage or adaptation. Questions like, "Do you think metabolic damage is real?" "What are the signs of metabolic damage that you look for", AND "What steps would you take if you see a client exhibiting metabolic damage?" While I don't know anybody in person, I can absolutely recommend some great online coaches. Anybody listed above, or myself, of course.